A case recently considered by the Supreme Court centred on whether employees working outside in dangerous wintry conditions should be supplied with footwear to protect them against the risk of injury from slipping on ice. In the Court’s unanimous judgement published earlier this month the decision was in the employees’ favour. The Supreme Court of the United Kingdom has today (Wednesday 10th February) handed down a unanimous decision in favour of Tracey Kennedy, a home carer who was injured while working in Glasgow in 2010. The case reinforces the need for employers to proactively assess the risks faced by workers when at work, and then to introduce reasonable measures to avoid or otherwise reduce that risk. An employee of Cordia (Services) LLP, Tracey Kennedy, suffered a serious wrist injury while working as a home carer. She slipped on an icy path into a housing estate in Glasgow during the severe winter of 2010 on her way to the home of a terminally ill client to provide essential care services. Miss Kennedy could not put off the visit and re-arrange it when the weather conditions improved. 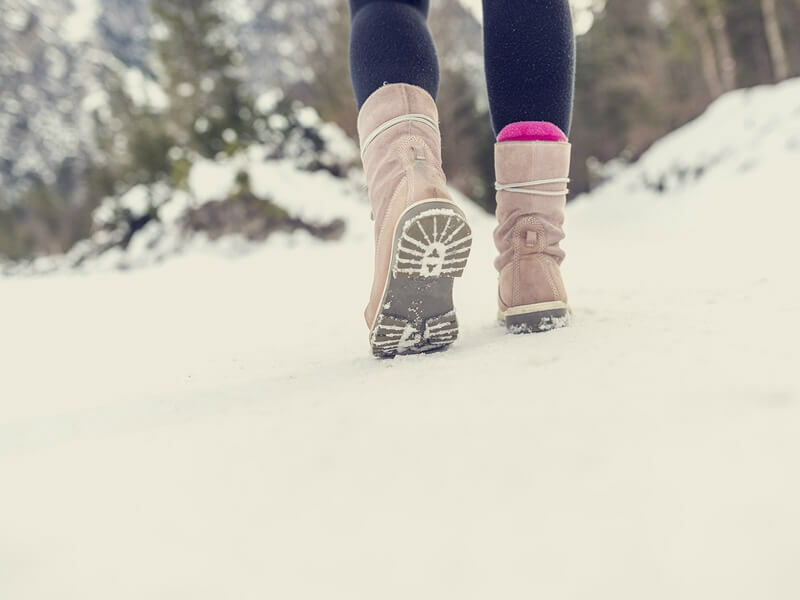 She was not provided with any footwear by her employer, nor was she given guidance on what she should wear in wintry conditions to avoid her slipping. The footpath she was following had not been gritted and was described as being like a sheet of glass below a layer of snow. Her employer’s own expert witness described the risk of an employee slipping in these conditions as a “dead cert”. While the full implications of this judgement are not immediately clear this is an important judgement likely to have an impact on many employers with a peripatetic workforce. They specifically need to consider the risk to employees whilst on the way to a client’s premises or working way from their base from the weather. Particularly where, as in this case, the employee was on an errand of mercy, which could not be put off, to help a vulnerable elderly member of the community. If you need help or advice on protective clothing, remote working or any other aspect of your business our qualified competent Business Safety Advisers, on 0844 892 2785, are there to help 24 hours a day every day of the year.